Mum has always been envious of my eyesight. Her most common, joking, complaint was that I could "see the ladybird on the leaf before (she'd) seen the leaf". It was true, but mainly because I was probably looking for them rather than at what I was supposed to be doing. However, back then I never stopped to think, 'which ladybird'? According to the UK Ladybird Survey, there are currently 46 species of ladybird (Coccinellidae for those in the know) in the UK. 3 of those are recent colonists, 20 don't even look like ladybirds. Most environmentalists will know of the supposed "inordinate fondness for beetles", with around 1.9 million extant species described - well, of those beetles, ladybirds are pretty well represented. 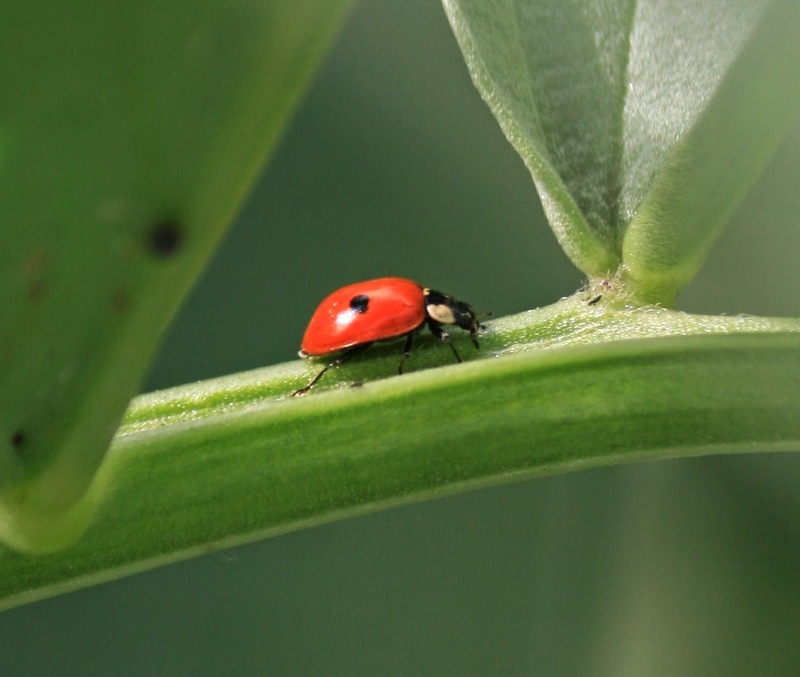 There are around 3500 extant species of ladybird worldwide, that's approximately 1 in every 542 species. They range from 0.8 to 18 mm, all with their marvellously domed shells, and come in an astounding range of colours - spotted, stripped or plain. I don't think I've gone beyond a quick count of the dots on a ladybird before, and if its a yellow one, just forget it! Honestly, I can't say I'd know my adonis from my 11 spot; but from now on I'm going to try. I've started out by going through my own pictures (see below), and over the next few weeks I'm going to try and get snaps of every ladybird I spot, on every leaf. You can join me too. Either look up the Ladybird Survey, or check out their handy guide here. In the picture below (taken from a video on my mobile) there are two perfect happy two spots (carefully making more little two spots); however, the wanderer in the background is a rogue. 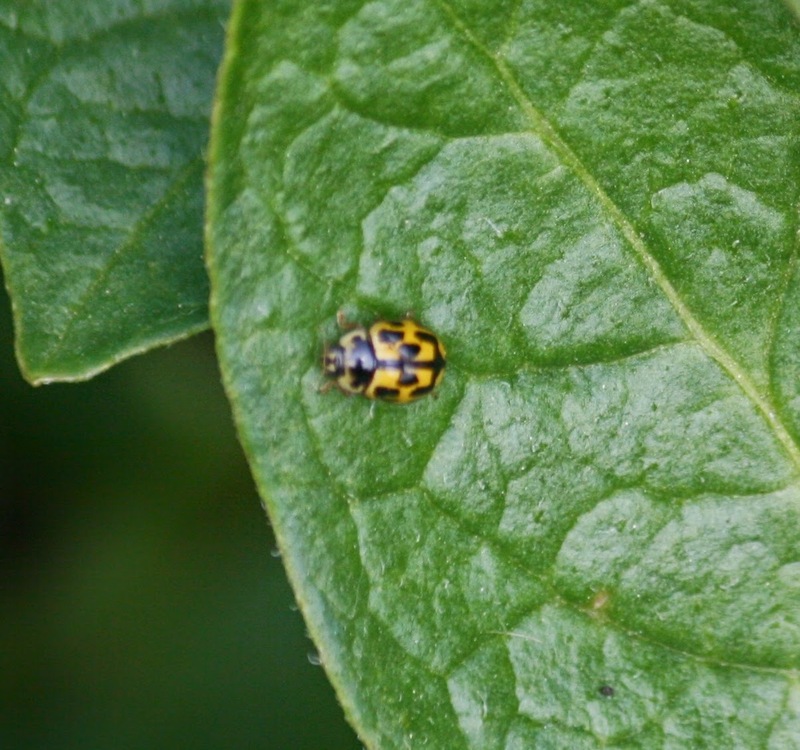 Its a harlequin ladybird (Harmonia axyridis succinea), the scary invasive one. If you're interested, ours are a genetic mix of those introduced accidentally from N. America (60%) and European flyovers (40%). Its the standard story. Introduced for pest control, it slowly out competes many of the locals by way of out eating them, resisting diseases, and when that fails, eating the poor buggers. 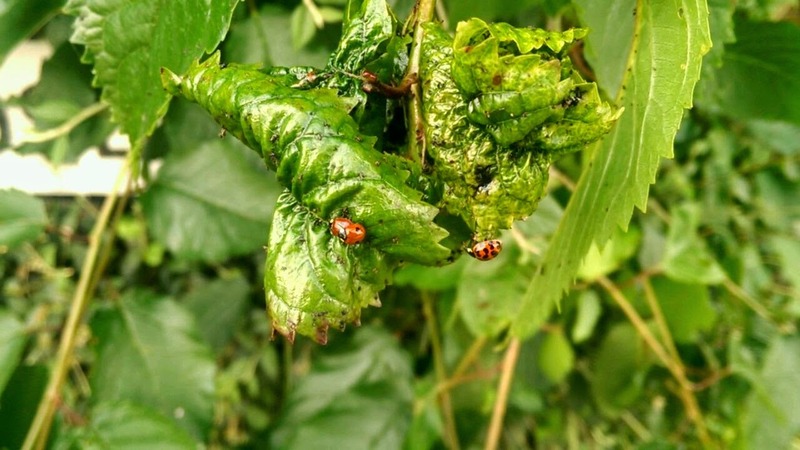 If you see a harlequin ladybird near you, please submit your sightings to the Ladybird Survey's Harlequin Survey page. Also - the little sods bite.